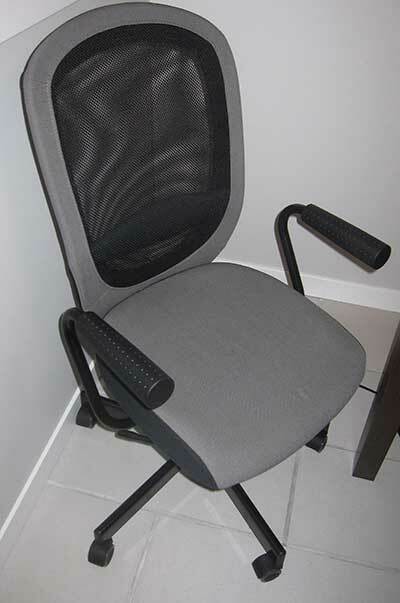 As someone who works on a computer all day, my favourite office chair is the Flintan from IKEA. I’ve tried many chairs over the years — IKEA and non IKEA — and have found them to be either too much in the “executive” style without proper lower back support, or too rigid for when I want to lean back. The Flintan has the right back support and a nice tilt action. I prefer the Flintan to the more expensive IKEA Markus (which makes it on a lot of “best chair” lists). With the “Nominell” arm rests, the Flintan is $99 CAD. There aren’t many options to adjust the Flintan. The arm rests are fixed, but you can change the height of the chair and lock or unlock the tilt action. The tilt action is unique (compared to many other chairs I’ve tried) in that it is easy to lean back in it, but its resistance adjusts based on how much you lean back. Therefore, it does not take any additional effort to keep the recline position at the exact angle that you’d like. It is sturdy but forgiving. With the Markus, I don’t like the fixed recline positions and I find the resistance when leaning back to be a bit too much. This entry is filed under Canadian Small Business, Consumerism and written by Peter Keung. You can follow any responses to this entry through the RSS 2.0 feed. You can skip to the end and leave a response. Pinging is currently not allowed. Hi, may I know do you fix the chair by yourself? Cause I tried the 9th step and it’s not working. The two parts are not joining together. Can you help? Yes, I did. But what’s the 9th step? Is it where you put the base on the seat? If so, it’s a matter of fiddling with the angle.